Pustular psoriasis is another uncommon form of psoriasis. This forms of psoriasis is identified by raised bumps on a red area of skin. The raised bumps are filled with pus. This form of psoriasis can be found anywhere on the body, including the tongue. The pustule bumps begin to come together and peel off. After the skin peels, more bumps can develop in that area. This process can happen for days and even weeks. Along with the bumps, individuals may experience fever, joint pain, nausea and headaches. There are three main types of treatment for psoriasis. Topical medications are applied directly to the affected area. This is the first course of treatment that many doctors suggest. Some common topical medications include corticosteroids, vitamin D-3 derivatives, and coal tar. It is common for some patients to change their topical medication every few weeks. This is due to possible side effects that can occur. Keratolytics - A doctor may even add in another type of medication, such as keratolytics, to ensure the best possible results from treatment. People with this type of psoriasis should talk with their doctor before using or mixing topical treatments. It is important to find a trusted doctor and be honest about the condition of the skin.pustular psoriasis. Phototherapy - light therapy, is another common type of treatment for those with psoriasis. However, it may not be appropriate for those with pustular psoriasis due to the redness of the skin. Light therapy works by exposing the skin to ultraviolet (UV) light. This is done in the doctors office with a special set of equipment. Natural sunlight can be used, but it is best to speak with a doctor before taking this into your own hands. The light from the sun or the light source works to slow down the production of skin cells. It can even help to minimize inflammation. When beginning treatment for psoriasis, an individual will probably begin with topical treatments or phototherapy. If both of these treatments are ineffective at eliminating some of the symptoms of psoriasis, systemic treatment may be the next step. A doctor may recommend this form of treatment for patients who have moderate to severe symptoms or who have psoriasis covering more than 10% of their bodies. Doctors may decide to use retinoids to treat certain types of psoriasis. Reinoids are one of the milder forms of systemic treatment. If this does not work, the doctor may move on to other types of medication. These medications and their risks should be discussed by patients and their doctor. There are several types of medication that may suppress your immune system. physicians may even decide to try medications which are typically used to treat cancer. Patients should be aware of the risks and benefits before starting treatment. Side effects. 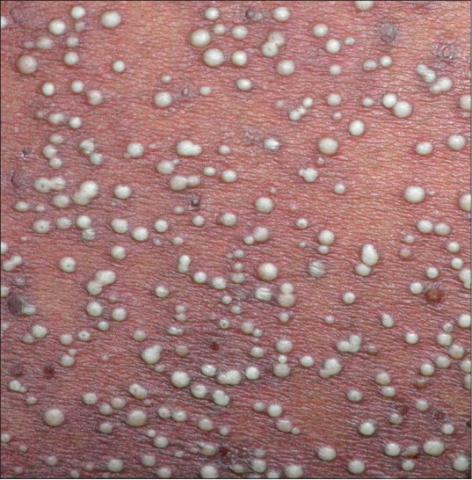 pustular psoriasis. There are many types of treatments that can reduce the symptoms of psoriasis. It is best to start with the least intrusive treatment, topical medications. Phototherapy may be able to reduce the inflammation, but may not be the best option for certain forms of psoriasis. Some individuals may need to try systemic treatments. It is best to talk with a trusted medical professional prior to beginning any type of treatment.